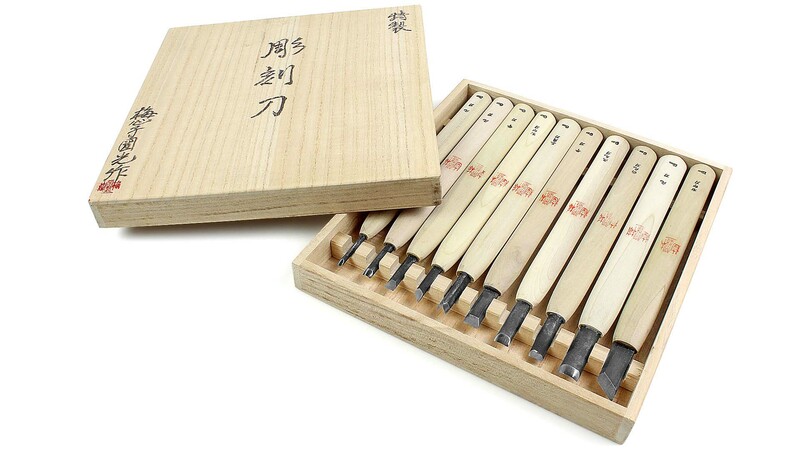 BAISHINSHI KUNIMITSU is well-known smithy brand that goes back to the 18th century swordsmith Baishinshi Kouemon. 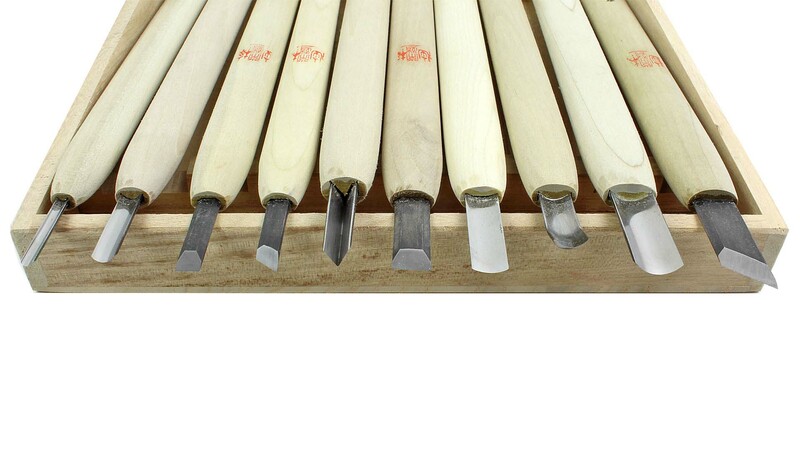 Today, these traditional carving tools are manufactured to a very high standard. 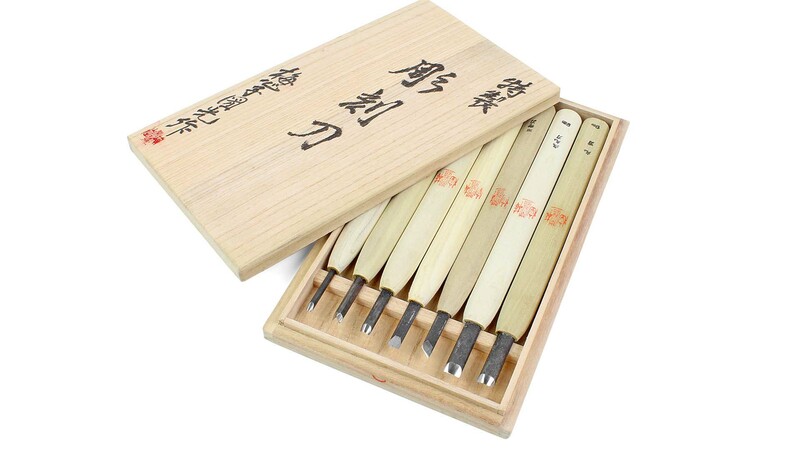 The steel used is Aogami/Blue Super A steel, forge-welded to a steel core. 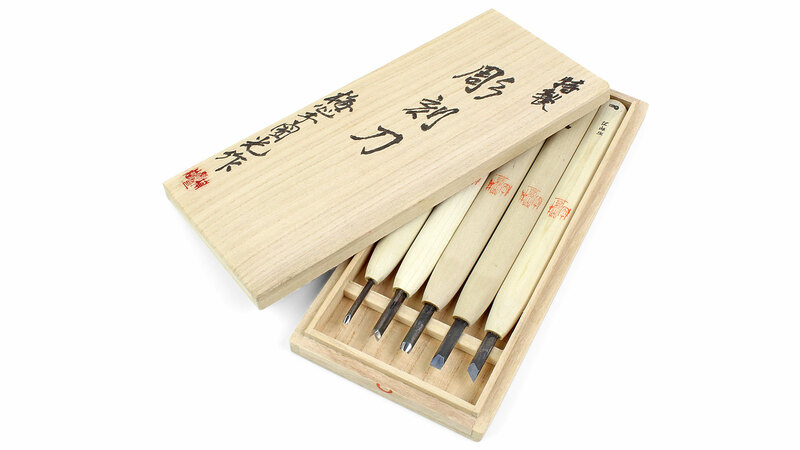 The handles of these delicate carving tools are made of lightweight hinoki wood. 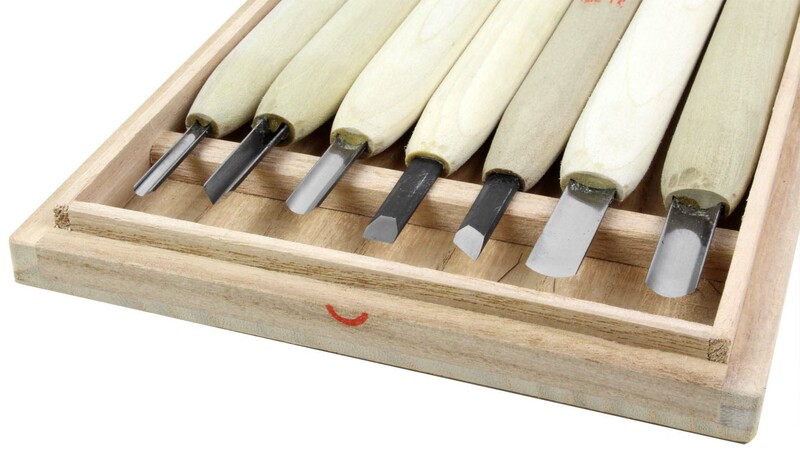 Overall length of the tools is 210 mm, with handles 180 mm long. 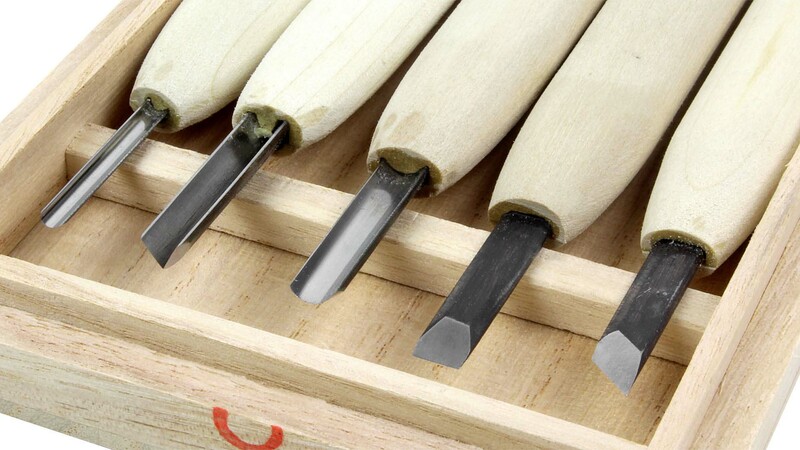 Because these tools are hand-forged, the widths, gouge cuts and angles can vary slightly.